Way to Look at Angels? Search for "tiny angels gallery" or similar terms and you will find lots of cute little pictures of angels, tiny angels models, figurines etc. While there is nothing necessarily wrong with them, they can tend to make people think of angels in the wrong way - to trivialize them - when they are real beings. Many people enjoy a tiny angels photo, collect little angel figurines etc. Wouldn't it be nice to be able to know something about real angels? You could sound like you know what you are talking about as you share with your friends and show them your angels (if you are a collector). We just need to have a balanced understanding that angels are real and, whether we know it or not, they are very involved in our day-to-day lives. Here are just a few thoughts about angels (and some links) to help you consider for a moment about real angels. For instance, if you have ever wondered: "what are angels all about and what do they have to do with us?" you could follow that link to a page that will give you some answers and information about angels. If someone was to ask you "what are archangels?" you could inform them that, according the word of God, there is only one archangel and you could tell them something about "Michael the archangel?" Angels are important and do and will have much to do with our world in the coming years. 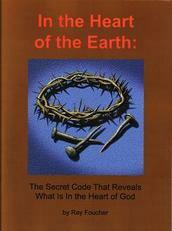 Many people believe that the earth is nearing a great crisis; even the end of the world. The Bible talks about clouds of heavenly angels that will accompany Jesus at the Second Coming. It also talks about how angels will, at that time, gather His elect (the saved) to take them to heaven. After that little diversion about real angels, you may want to return to your search for the "tiny angels gallery." I'll even suggest a good web site with angel arts and gifts and lots of other information about angels.